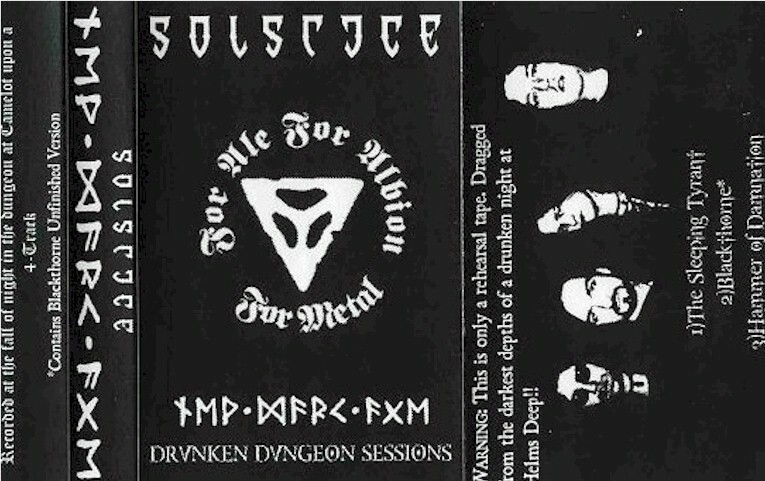 Solstice is doom metal band from England, founded by Richard Walker after breaking up of his previous crust punk band Sore Throat in 1991. 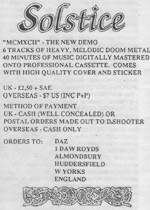 SOLSTICE debuted with the 1991 demo tape 'Lamentations', following this with a 1992 effort 'MCMXCII'. Throughout the band's formative years Lennaert Roomer held the drum position but by 1994 SOLSTICE had added former SHIP OF FOOLS guitarist John Piras and vocalist Simon Matravers, previous singer Mark Stojsavljevic having left in August 1993 to found SEER'S TEAR. Xeroxed colored demo cover. Non studio tapes. Professionally made demo cover and cassettes. Xeroxed colored demo cover. Non studio tapes. Eventually released by Carrion Records noted below. 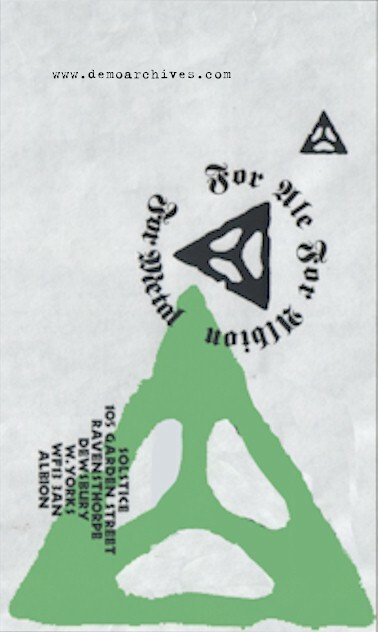 Xeroxed colored covers and non-studio tapes.